Without much harvest of corn and rice at the last quarter of 2018, many of the small-farming families whose crops were inundated by Typhoon Ompong (Mangkhut) faced the difficulty of looking for means to buy seeds they need to plant. To assist these families, Aktion Deutschland Hilft and World Vision recently distributed rice and corn seeds, a major agricultural crop and source of income in several villages in the province of Cagayan, north of the Philippines. Families who received the seeds are thankful. Sharon, 22, felt lucky to be one of the recipients of a sack of corn seeds. “This is just in time for this month’s planting season,” she said. Rice, Sharon shared, need more water to grow well. The past two months have poured enough rain that rice farmers needed to start planting. Sharon, 22, is thankful for being a recipient of rice seed. Sharon’s family is one of those whose palm-made houses were blown down by Typhoon Ompong. She said they were able to buy few materials needed for house repair after they learned that they will be receiving assistance from Aktion Deutschland Hilft and World Vision. “We’re able to buy materials for our houses because we saved money from buying rice seeds,” Sharon said. Jocelyn, 28, on the other hand, shared that without the sack of corn seeds she received, her family would need to spend a huge amount. “A sack of rice seed costs Php5,000 ($100) if you pay in full cash, and Php6,500 ($130) if you pay in installment. We’ve just avoided another debt because of this,” Jocelyn said referring to the sack of rice seeds she just received. 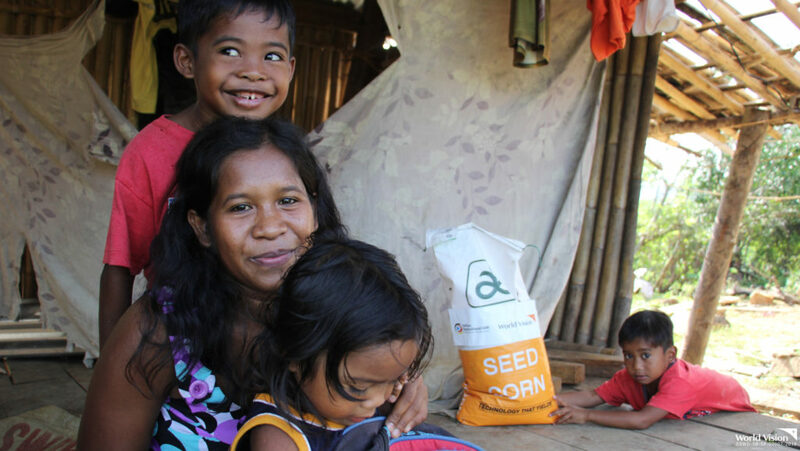 World Vision, with funding support from Aktion Deutschland Hilft, has distributed 1,028 sacks of corn seeds and 753 sacks of rice seeds to three municipalities in Cagayan. 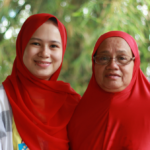 Both Jocelyn and Sharon are small-scale farming families who own less than a hectare of land. Their families earn an average of around Php20,000 ($400) per harvest which they stretch for a month or two until the next harvest season. 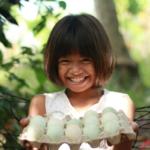 As additional income, adult members of the families work as farm laborers, or farmers who are given between Php200 – Php350 ($4-$7) for a day’s farm work. Both are hopeful that this cropping season will be a good one so they can continue to provide for their children’s needs. 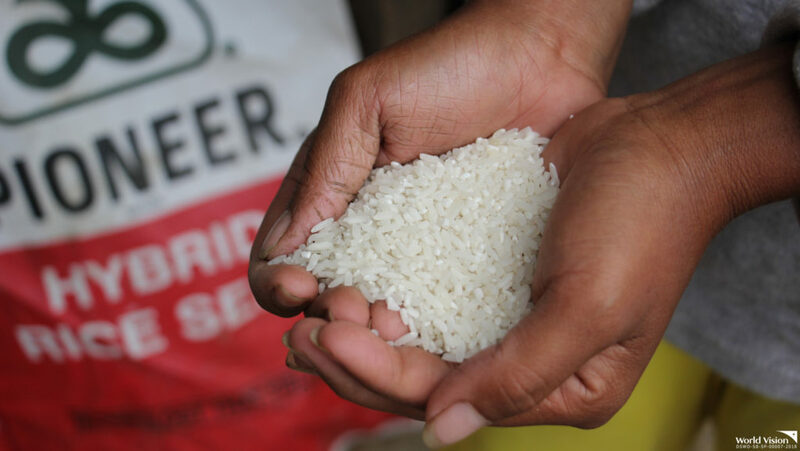 To date, World Vision, with funding support from Aktion Deutschland Hilft and other partners, has distributed 1,028 sacks of corn seeds and 753 sacks of rice seeds to three municipalities in Cagayan, where typhoon Ompong made landfall last September 2018. "Mayon is much closer and bigger from our village. But when it erupted and spewed lava and ashes, we were all afraid." Best friends Christian and Totong share a lighthearted moment despite the destruction bought by the floods in Agusan del Sur.